A key to getting things done in a coaching businesses is creating a detailed plan to outline what to do, so at the end of the year, you have the best chance of creating the change you want in your life, your business and in the world. 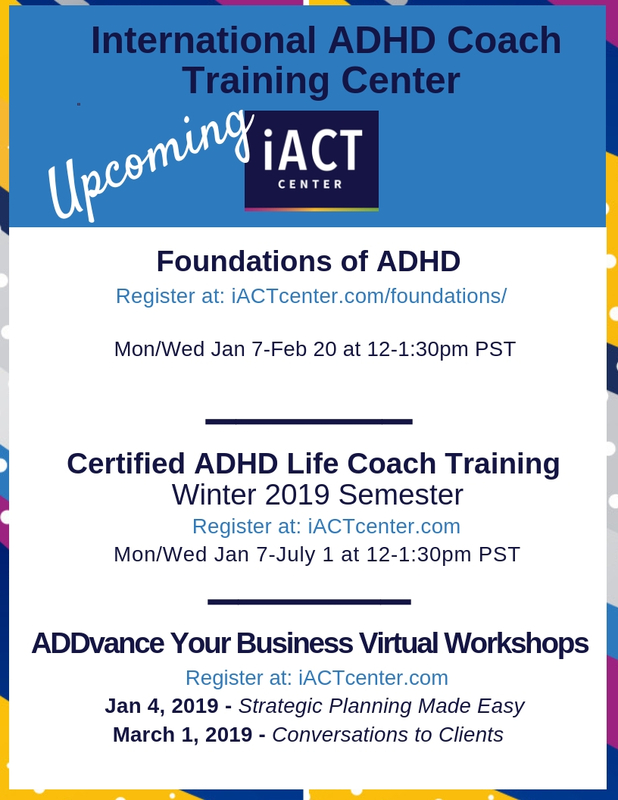 And this year, you are invited to “do” this with Laurie Dupar of Coaching for ADHD and the IACTCenter. To create a plan that prepares you for meeting your business goals for the year. Make 2019 the year you “do” and end up being amazing!